UFO SIGHTINGS DAILY: Multiple UFOs Over Las Vegas Catches Residents Attention, Feb 2016, Video, UFO Sighting News. 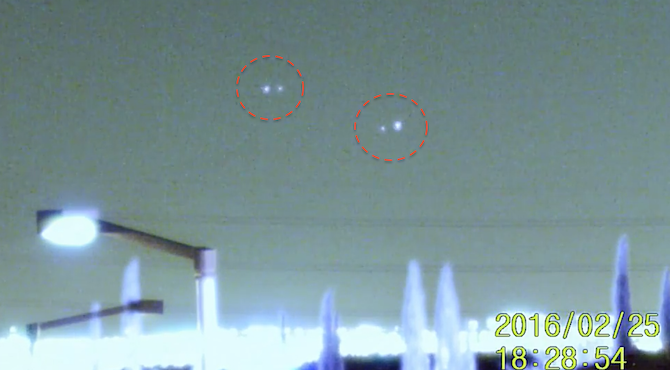 Multiple UFOs Over Las Vegas Catches Residents Attention, Feb 2016, Video, UFO Sighting News. 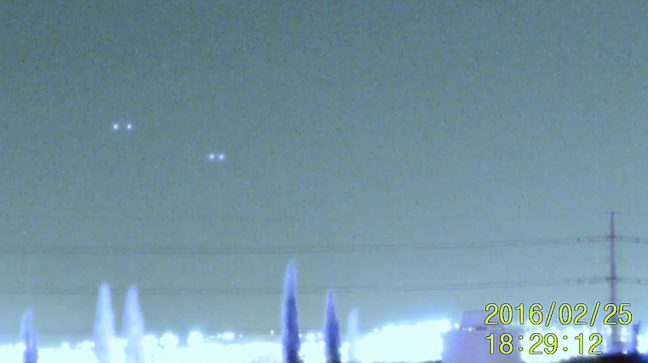 Steven Barone, a UFO researcher in Las Vegas caught this amazing video, near Nellis and Area 51 AFB this week. Notice each UFO has a wingman with him. Flying in pairs makes it safer for them if military jets want to play their games of cat and mouse. Steven has an awesome night vision camera that shows fantastic detail. Tools of the trade, that even a cloaked UFO cannot hide from. This video was captured in Las Vegas, Nevada on the night of February 25, 2016. It was a great night for the night vision camera. I began filming a light to the south before it was fully dark. Initially, I wasn't sure what it was but know to film just in case. It turned out to be an interesting capture because it ended up being a minimum of four lights which ultimately disappeared below a nearby rooftop. The second set of lights were to the north and I knew immediately that they were special and began filming them because I have filmed similar lights many times before in the same location. What's so interesting about them is the formations they were flying in and how slowly they were moving. The most interesting thing of all is that this time I know their destination because the camera followed them to Nellis Air Force Base. They also flew to a very strange area I have filmed on many occasions. It is a location where hundreds of lights seemingly appear out of thin air. I could visually see the lights to the south but the lights to the north did not reveal themselves visually. Finally, in both the north and south videos you will also see airplanes flying through the scene. The aircraft that were flying in the video from the north are very likely military because they appeared to be flying in restricted airspace. You can tell when you are looking at an airplane because the flashing beacon is much stronger and more pronounced.